Today I tackled some 40 Speedmasters for another round of updates to our Omega database. No Professionals though: all of them fitted with an automatic movement. So how about a ‘Panda’ caliber 3304, the HB-SIA with bright orange rubber strap or the ‘Casino’ caliber 1164 Speedmaster? I uploaded a few more Speedmasters… handwounds too! Launched at BaselWorld 2016, the Omega Seamaster Planet Ocean reference 215.90.44.21.99.001 features a titanium case and bracelet. 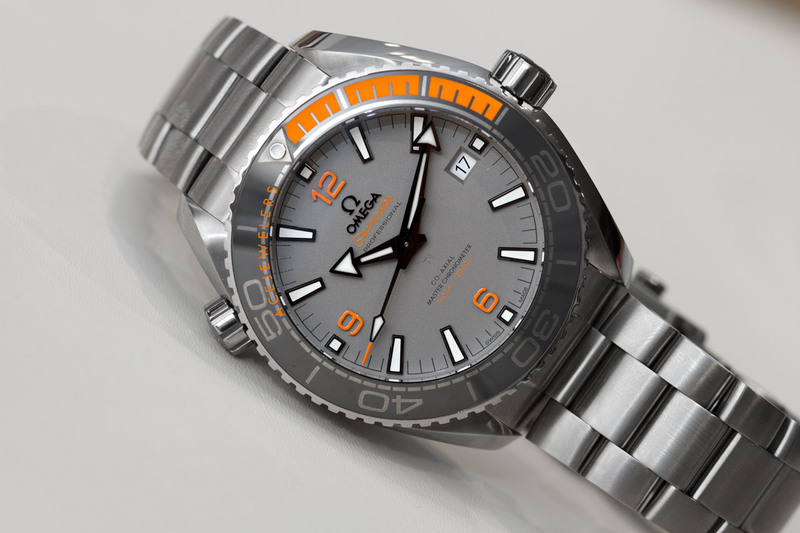 The first 15 minutes of its revolving bezel are inlaid with orange rubber, while the matte grey dial sports matching accents. Part of the newest generation of Planet Ocean models, the reference 215.90.44.21.99.001 is powered by the METAS-certified caliber 8900. More details, including price, RIGHT HERE.